A Yorkshire council has gone on the offensive over its policy of serving Halal meat in schools from animals which haven't been stunned before slaughter. Kirklees Council has defended its policy of serving non-stunned Halal meat in its schools. The announcement has disappointed the National Secular Society, which raised the issue of non-stunned meat in school last year. It said the council was “normalising cruelty to animals”. Across Kirklees, which is a borough of West Yorkshire which covers areas including Huddersfield, 43 schools receive Halal meat via the authority’s catering service. Seventeen school with predominantly Muslim children do not offer a non-halal meat alternative. Petition organiser Aleks Lukic said those signing the petition were “dismayed” that the council had chosen to pursue a policy “that sponsors and normalises non-stun slaughter” by serving such meat in local schools. 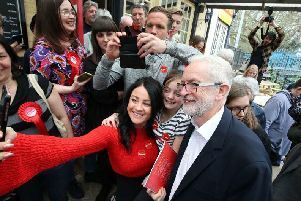 He argued that scrapping the policy would mean “a significant improvement” for the welfare of animals slaughtered for school meals in Kirklees. Reacting to the council’s admission that 17 schools in Kirklees do not provide a non-Halal meat alternative, he said children of non-Muslim families had been led into consuming products of non-stun slaughter “without their knowledge”.